Our Ideal 8000S profiles combine energy efficiency and affordability with the flexibility of extensive customisation to offer homeowners an excellent price-performance ratio. The 8000S comes in a larger 85 mm depth compared to the 5000S making it well suited to new construction, but renovation as well. 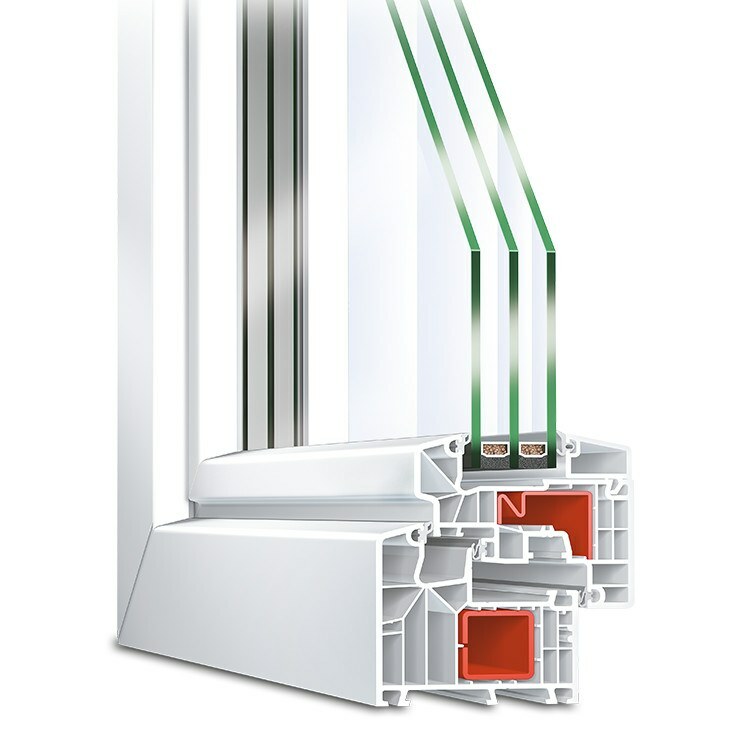 With the ability to achieve Uw-values of 0.81 W/m2K with triple glazing and warm edge spacers, the 8000S can achieve near passive house values (Passive House is 0.80 or less) saving you money every month and quickly paying for itself. Best of all, this premium performance does not come at a premium price! Additional glazing and fittings features for increased security, soundproofing, privacy and more are available meaning the window can be tailored to your exact size, shape, functional and aesthetic requirements. 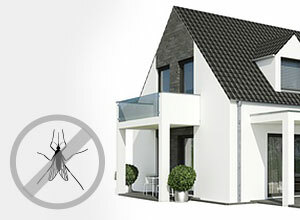 Modern treated uPVC provides durability and resistance to discolouration. 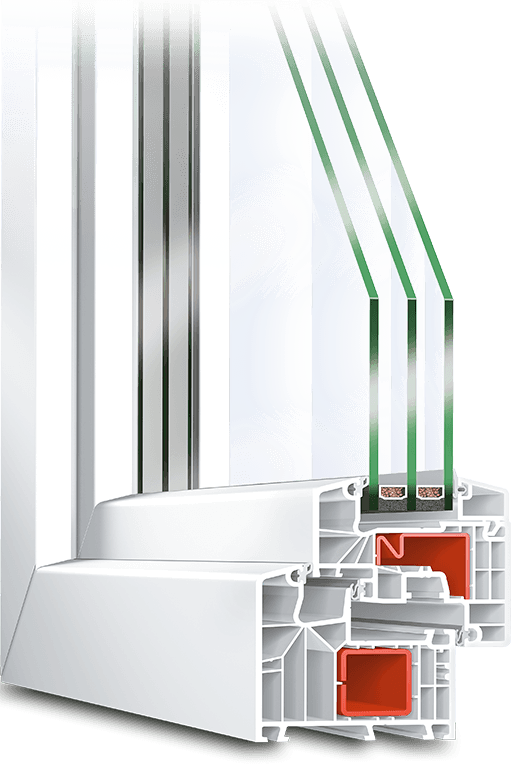 The Ideal 8000S provides a great base for custom energy efficient windows for those who don't quite need Passive House levels of performance. 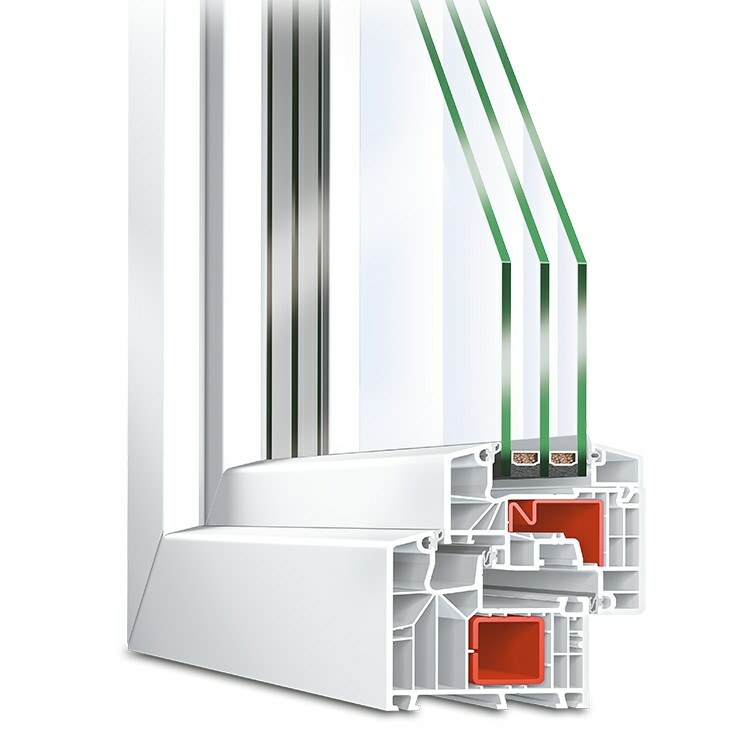 It's thicker profile depth of 85 mm, six internal chambers in the frame and three seals ensure great Uf-values (the u value of the frame itself without glass) to build on with double or triple glazing. 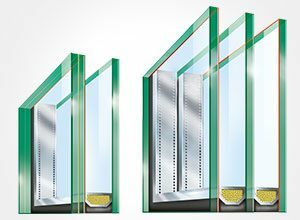 The added depth also allows for a greater choice of glazing options in terms of the spacing between individual panes. 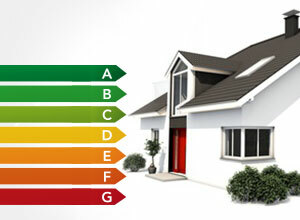 Triple glazing can be installed up to 59 mm thick overall. 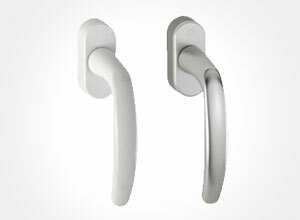 The benefits are reflected in the U-values of the Ideal 8000S. 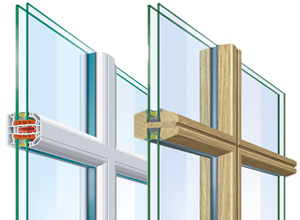 With triple 0.6g glazing and warm edge spacers, these can reach up to 0.81 W/m2K, just 0.01 short of Passive House! But the 8000S does more than just insulate against heat loss. 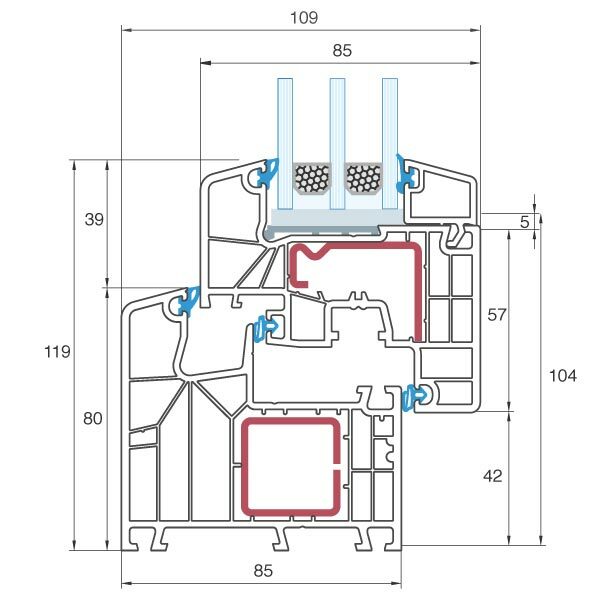 Many of the same features that prevent heat from cold air infiltration also reduce the energy of external sound waves, i.e. 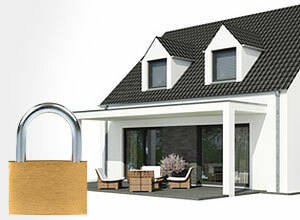 reducing the amount of noise outside that you hear inside. 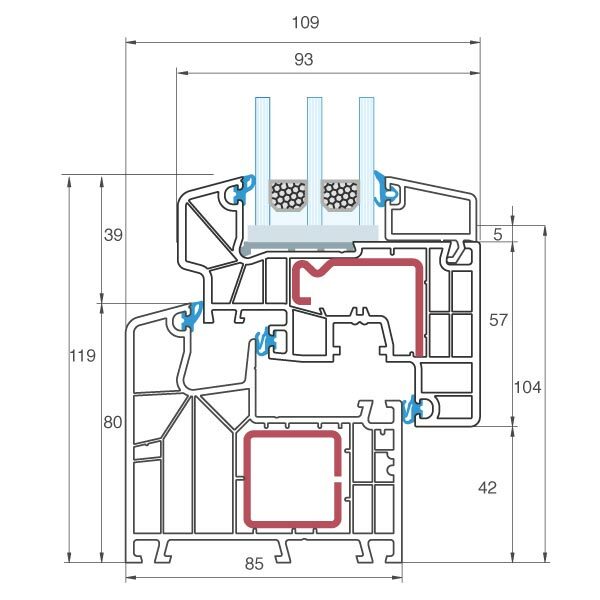 Sound reduction of up to 44dB (RW) is possible when combined with modern triple glazing. The general recommendation for urban areas is to aim for a sound protection level of at least 20 – 25 decibels at night and 30 – 35 decibels during the daytime. Glazing bars add a traditional touch to the design of any window. The Helima bar, for example, is a powder-coated aluminium bar which is installed in the interior space between the glass panes. 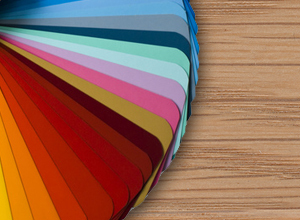 Your Ideal 8000S window can be easily customised to match your needs. The design options are practically limitless. 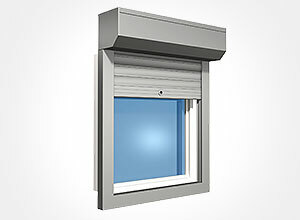 The available design range covers traditional wood looks and modern aluminium shades in almost any colour. Use our charts to get an overview of the range of options available. Moreover, the frames can be built into both standard and non-standard shapes including triangles, ovals, arches and more.